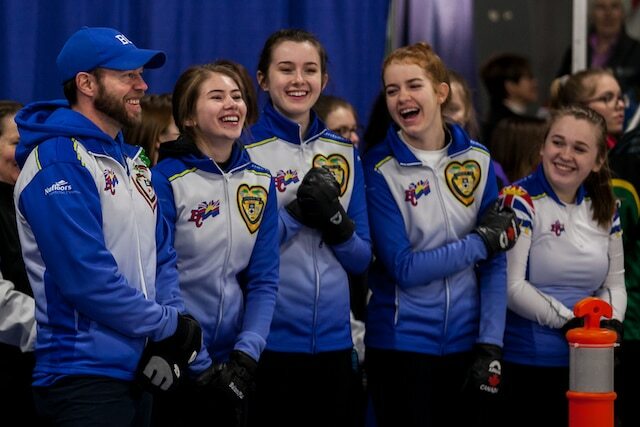 On the women’s side, Ontario and Saskatchewan continue undefeated, while B.C.’s Jaelyn Cotter notched her first win of the round robin, a 5-3 victory over PEI’s Lauren Ferguson. 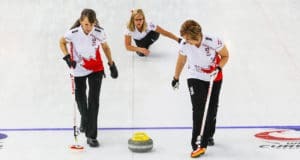 Ontario’s Madelyn Warriner, of Listowel, Ont., held off a late charge by New Brunswick’s Erica Cluff on Tuesday afternoon to score a 5-4 win. Cluff bounced back for a 9-2 win over Bayly Scoffin of Yukon to finish off the day. In her only game of the day, Saskatchewan’s Skylar Ackerman stole five points on the way to a 10-2 win over Northwest Territories’ Zoey Walsh. 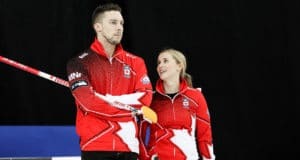 In Pool B, Northern Ontario’s Bella Croisier ran Newfoundland and Labrador’s Glynn Mackenzie out of rocks in a 5-3 win on Tuesday evening to remain undefeated with a 3-0 record. In Men’s pool play, Northern Ontario’s Jacob Horgan is one of four teams that remain undefeated. Horgan stole two ends on the way to a 7-4 win over PEI’s Mitchell Schut in Draw 4. Joining Horgan with 2-0 records are Jérôme Adam (Quebec), Joshua Leung (Ontario) and Ryan Jacques (Alberta). Ontario’s Leung and his Whitby Curling Club team stole four points in the second end and another single in the third to finish with an 8-1 win over Manitoba’s Brett Walter on Tuesday afternoon. The round robin continues on Wednesday with draws at 10 a.m., 2 p.m. and 6 p.m. (all times ADT). Selected games from the 2018 Canadian Under-18 Championships will be streamed live for viewing on-line. 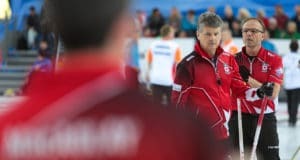 Go to the event website, www.curling.ca/2018under18/, for links and more information about scoring, live streaming, teams and results.